Peter Benson is a Licensed Associate Marriage and Family Therapist. 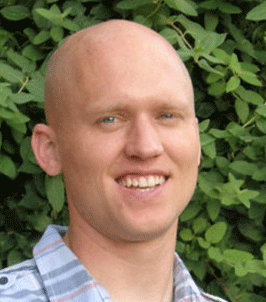 He earned a bachelor’s degree in Recreational Therapy from BYU-Idaho and he maintains a national certification as a Therapeutic Recreation Specialist. He earned his Master’s degree in Marriage and Family Therapy from Pacific Lutheran University in Tacoma, WA where he received rigorous clinical training in working with a diverse clientele of individuals, couples and families. Peter works from an attachment and emotionally focused perspective. During his clinical training, Peter developed a commitment to creating a safe and validating environment in the therapy room as well as to serving individuals who deal with discrimination and prejudice on a daily basis. He has a passion for helping couples create a safe and secure relationship and for helping parents create a secure and structured environment in which children can develop and excel. He is Prepare and Enrich certified and has experience with team and family building workshops. Peter is from Orem, UT and says he gets to live his dream on a daily basis by enjoying time with his wife and five daughters.